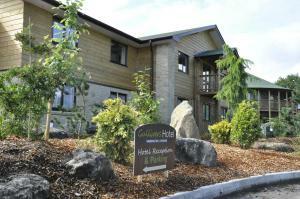 Situated 2 minutes’ walk from Gullivers World Theme Park, The Gulliver's Hotel features an outdoor play area for kids, free on-site parking and free.. 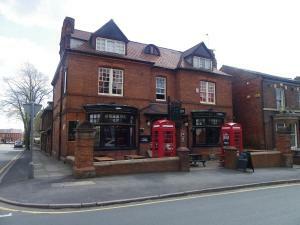 The Blundell Arms Inn is situated in Cronton, 37 km from Manchester. Guests can enjoy the on-site bar. Free private parking is available on site. 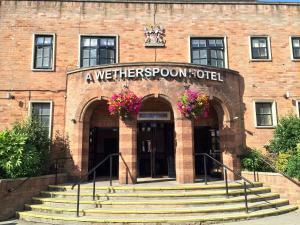 Eve..
Less than 10 minutes’ walk from Widnes town centre, this Premier Inn offers a traditional British menu in the on-site Brewers Fayre restaurant. 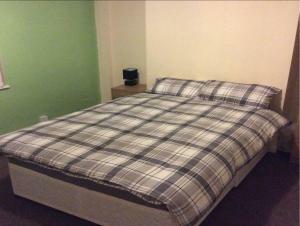 Free..
Homestay Broomfield is located in Liverpool, 5 km from Sefton Park. 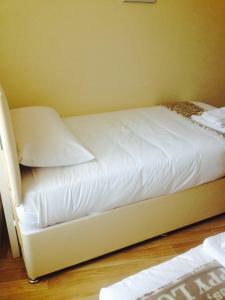 A flat-screen TV with satellite channels and DVD player, as well as a CD player a.. 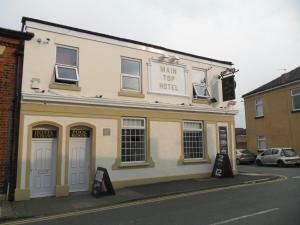 Located in the industrial town of Widnes, The Main Top Hotel offers free WiFi access and free street parking. 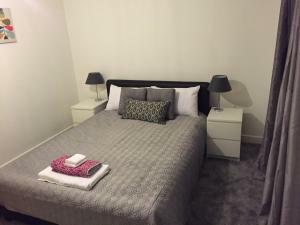 Just 12.7 miles outside of Liverpool, Si..
Nestled in a historic, grade II listed former coaching inn, The Kings Head offers accommodation with free parking and free WiFi in the heart of Warrin..
Grand Central Serviced Apartments is a self-catering accommodation located in Warrington. Wi-Fi access is available. 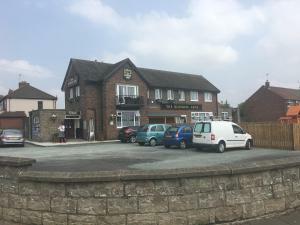 The property is 400 m from Halliw..
Just 4 minutes’ drive from Broad Green Train Station, Childwall Abbey by Marstons Inns offers attractive en suite accommodation around 5 miles outsi.. 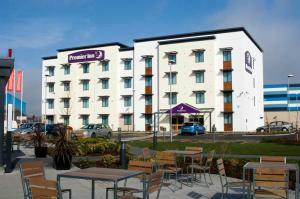 Featuring free WiFi throughout the property, Mersey View Hotel offers accommodation in Widnes, 39 km from Manchester. 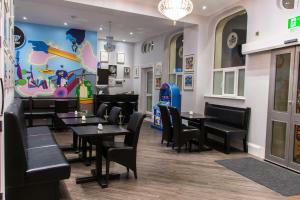 Guests can enjoy the on-site bar..
With boutique-style décor, Fifteens of Swinley is located in Wigan. Free WiFi access is available. 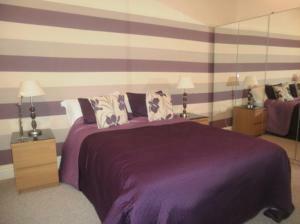 Each room here will provide you with a TV with sat.. 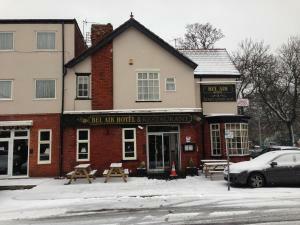 Featuring free WiFi throughout the property, The Brocket Arms offers accommodation in Wigan. Guests can enjoy the on-site bar. Free private parking is..
Penny Lane Hotel is located in the Mossley Hill area of Liverpool, which is home to some of the most significant Beatles attractions in Liverpool. Fre.. 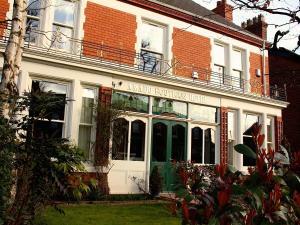 The Avenue Bed & Breakfast is a large semi-detached house situated in Liverpool’s leafy suburb of Allerton. 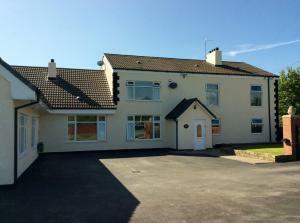 It features a garden and a conservatory ..